Il y a longtemps que notre pays est beau mais rude. The USA are entirely the creation of the accursed race, the French. The mayor of Calais is suing Marine Le Pen of the Front National for saying "repeatedly" that citizens in Calais need a pass issued by the mayor to get to their own homes (because of the number of migrants in the town). In fact, the passes are issued by the police prefecture. "À nous de vous faire préférer le train!" "Avec le SNCF, tout est possible"
Etymology: onomatopoeia from the sound a marmoset makes. Actual meaning: this is what you say in France when you want people to smile for the camera. Selon une étude réalisée par le fabricant d’appareils photo Nikon, le « ouistiti » utilisé en France au moment de se faire prendre en photo est le petit mot le plus efficace pour s’assurer un joli sourire. Also yet another strike by Sud-Rail, a particularly truculent SNCF union in the south of France, this time five days in January: 6,7, 21, 22 and 23. "We have no choice." Right. Go back to school in Paris! The Irish College is hundreds of years old and offers music, drama, lectures, and courses to Parisians in English. You can learn Irish here too. Plain-clothes controllers: you have been warned! Yesterday was pretty stressful. My family is spread out this summer in five different countries, and yesterday my daughter went missing for seven hours after speaking to another family member from an airport taxi. We were actually dealing with police, who were very concerned. All's well that ends well, and I received the good news that she was all right... seven minutes before the end of the Netherlands-Brazil game. I hadn't needed to watch television to know that the Netherlands had scored two goals and Brazil only one. Anyone with ears in Amsterdam could have heard the same thing. "Stressful" is an understatement. You must have been terrified. I'm so happy that all is well. I am SO glad that your daughter is safe and sound! Years ago my son went missing for an hour or so and I still get an awful shot of adrenaline whenever it comes to mind. Americans in Paris: is this you? 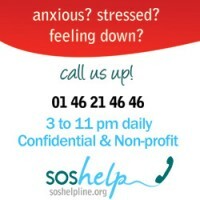 In Paris, alone, need help? "Because we all like reading blogs about life in France"
A game American breaks the ice for women chefs at a three-star French restaurant. Update 2010: She's moved to San Francisco, but the archives are well worth reading. She half-stole my name, no doubt without realizing it, but it's still a cute blog! An excellent blog about "the parts of Paris that would be refused entry into the ville musée if they tried to get in today"
This blogger doesn't give herself enough credit but she'll figure out she's worth it (elle le vaut!)! Glamorous Scottish-Euro Imogen Roy lives the life we all wish we had! A long-term Australian expat in a French ski resort. I can't believe it took me so long to discover this one. A Chinese-American in the City of Lights. "letters from my dining table in the south of france"
"a taste of life in France"
A "fresh, uncommon, original perspective on events in the United States... France and occasionally the other 198 countries in the world." An American family here in Paris for a sabbatical year. "Images to tell of a time that is past"
"The photo library of young Paris"